For more than two decades, Halcyon has proved its credentials as an educator and mentor, with a willingness to share their vast experience and to engage and interact with audiences, composers, students and teachers alike in residencies, composer workshops and other projects. 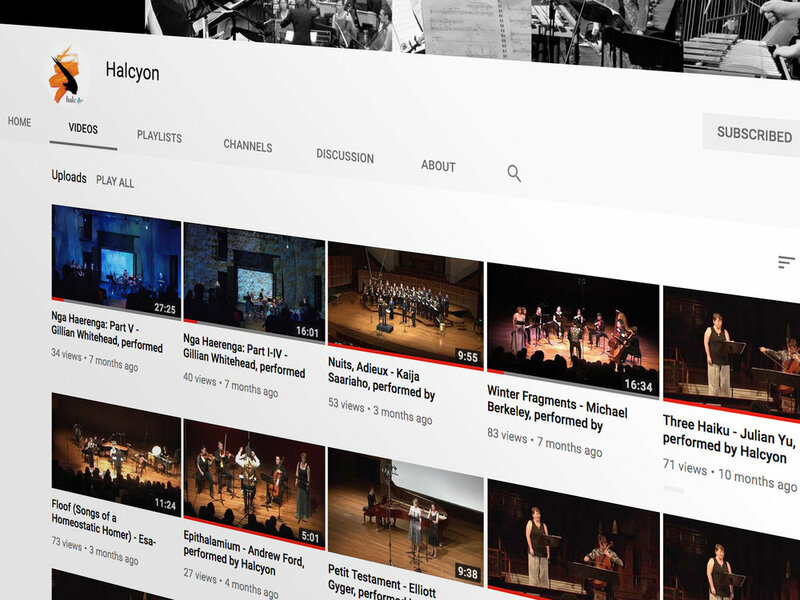 Halcyon now offers a series of educational presentations about the voice and contemporary vocal repertoire suitable for young composers or singers, music students and their teachers. Each seminar is able to be used in conjunction with practical workshops or as astand alone presentation. On this page you’ll find details of these presentations, some specific educational projects and other free resources to explore. Further presentations or practical workshops could also be developed to focus on other specific works from Halcyon’s repertoire or to explore particular areas of interest in more detail. All these presentations are given by artistic director, Jenny Duck-Chong and require audio and projection capabilities. Handout or PDF material will also be provided. Other presentations or practical workshops may also be developed in consultation. Halcyon offers masterclasses for tertiary students of singing or composition to hone pieces for performance. Halcyon’s artistic director Jenny Duck-Chong is now offering private tuition for composers keen to hone their vocal writing. Contact us for more information. Writing for the voice - What do composers really need to know? This seminar gives a brief introduction to the voice as an instrument and then looks at approaches to text, vocal writing, notation and ensemble matters in vocal chamber music with many score and audio examples of Australian contemporary vocal works from Halcyon’s repertoire. Explores the complementary ideas of a composer’s intent and a performer's role in interpretation. How clear is a composer’s intent? And what does a performer bring to a piece as an interpreter? Secondary music or composition students and their teachers and tertiary compositions students who wish to approach contemporary scores from a different perspective and discover a range of new repertoire and personal insights from a performer of many years experience. Also suitable for younger singers and their teachers seeking to explore this area of repertoire. An overview of a diverse range of repertoire including handpicked examples of contemporary repertoire and discussion of relevant Halcyon commissions. Can include discussion of what skills are required to work in this field Can focus exclusively on Australian or commissioned material or a more global perspective. Secondary or tertiary students or teachers of singing or composition. A tailored presentation which focuses on selected works from the 21 pieces commissioned for the project. Read more. An interactive presentation which focuses on four newly-commissioned works setting the words of everyday Australians during WWI. Read more. A range of smaller composition projects for adult composers, secondary and tertiary students with and without ensemble. Read more.